Plant produces 6.4 megawatts of electricity using landfill gas from a city landfill (9 miles away). Power is produced on-demand in coordination with the local utility. The ability to self-generate over 1/3 of the total power consumption has significantly lowered utility costs and ultimately lowered the production cost of vehicles at Fort Wayne Assembly. 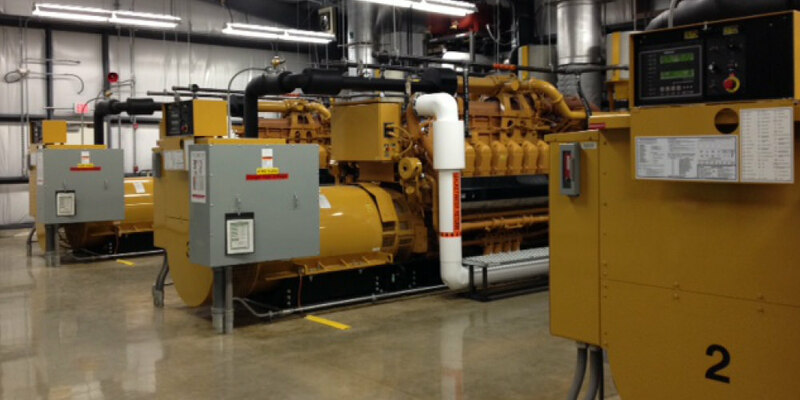 This facility was designed to support the performance and maintenance of (4) four Caterpillar 3520 Engines. The engine exhaust breaching was designed as a common stack for all four engines, which is tied into the existing 200’ boiler stack at Fort Wayne Assembly. This approach reduces air permitting requirements and therefore provides better air quality results. SCADA system integrated into existing Main Power Supply Building Control and Monitoring System. Commissioning was performed by CxA that was part of the Granger Design-Build Team.